Hey there, Snuggle Friend’s it’s that time again! Where the eff did the time go? 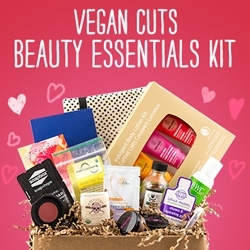 Have you checked out the Vegan Cuts Beauty Box yet? I mean, really, you should. It’s an awesome little gift to yourself or others (sharing is caring!) When you sign up for a subscription, you get a box with an assortment of 4-7 sample and full size vegan beauty products for only $20 bucks a month. I know, totally cool, right? I’ve discovered some really cool stuff through this program and it really helps with finding vegan beauty for reasonable price. So, Let’s move onto what I got for June. Superchic Laquer by Wonder Beauty Products- I received this totally awesome, handmade nail lacquer in a pretty, sparkly blue hue named Coming Unblued ( a good summer shade!). This polish drys quick and smoothly, which is always a bonus in my book. This polish is the mega 5 free and has no toxic chemicals. Check out their Etsy store for all of their super cute colors! Pacifica Natural Eye Pencil- I received this pencil in Fringe, a mocha brown, that goes on super smooth. I usually only buy black liquid eyeliner but I really like how this pencil is very easily applicable. This little pencil is also packed full of nutrients that help protect and nourish your sensitive eye area. And it’s waterproof!! Pacifica is a cool brand that you can order online or find in the Whole Body section at your local Whole Foods. NYL Velvet Transformative Serum– Need I say more? I do? Ok, I will. This is a fabulous little product that is full of vitamin C, antioxidants, anti-wrinkle and anti-inflammatory properties. Yes, my lovelies, this is a great serum for protecting your face. After I put it on, my skin feels so silky and radiant. NYL is made in a kitchen with amazing vegan, eco-friendly, and organic ingredients. Bottom line is: I really love this pick. LA Fresh Nail Polish Remover Wipes- These wipes are eco-friendly and one wipe works for 10 nails. Of course, I put these to the sparkly nail polish test, which is the toughest test of all. It did pretty good against the test. The scent is so much better than regular acetone nail polish and your nails feel conditioned afterwards. Lip Glosserie Moisturizing Lip Balm in Asain Pear- OMG. This is one tasty lip balm. 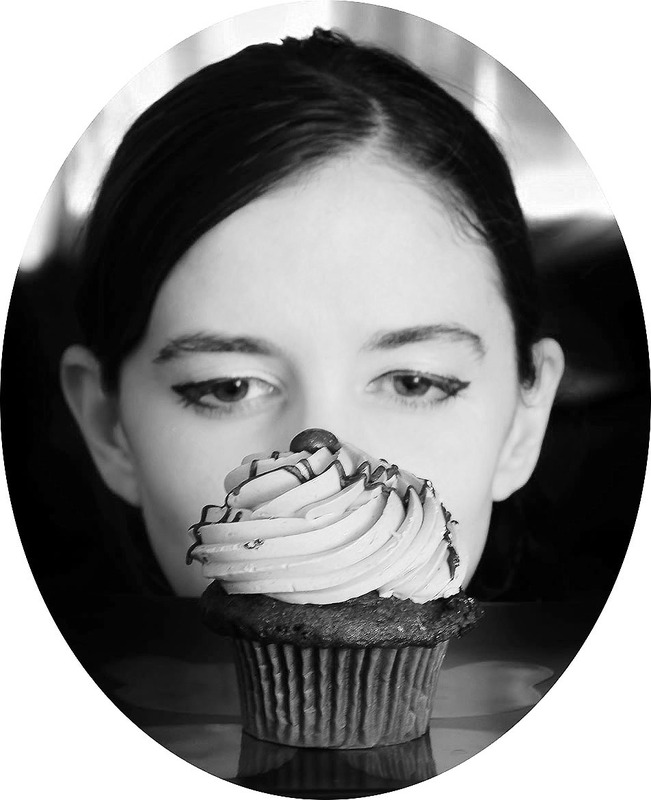 The Lip Glosserie is a small company ran out of a kitchen in Austin, TX and they do an amazing job. This lip balm goes on smooth and gives you just a little shimmer. It looks really perrttty on and it tastes and smells amazing. Jane Carter Solution Hair Butter- Full of moisturizers, this is a great little product for the summer (especially for those of us desert dwellers!) It gets rid of those frizzes and keeps your locks looking lovely. Just remember, a little bit goes a long way! *An added note, lovelies. This is not a sponsored post, I pay for my subscription and give my honest opinion on all products. This entry was posted in Beauty Review, Uncategorized and tagged #vegan, crueltyfree, janecartersolutions, lafresh, lipglosserie, nyl, pacifica, veganbeauty, vegancutsbeautybox, wonderbeautyproducts on July 5, 2014 by Krystle.